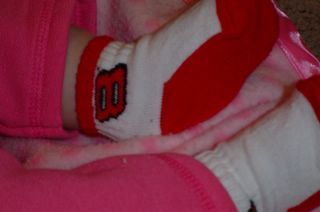 Brianna’s Lucky Dale Jr. Socks! Omg….what a gorgeous Queen in training. She’s adorable, Angie…and Auntie Jaci really appreciates the pics.